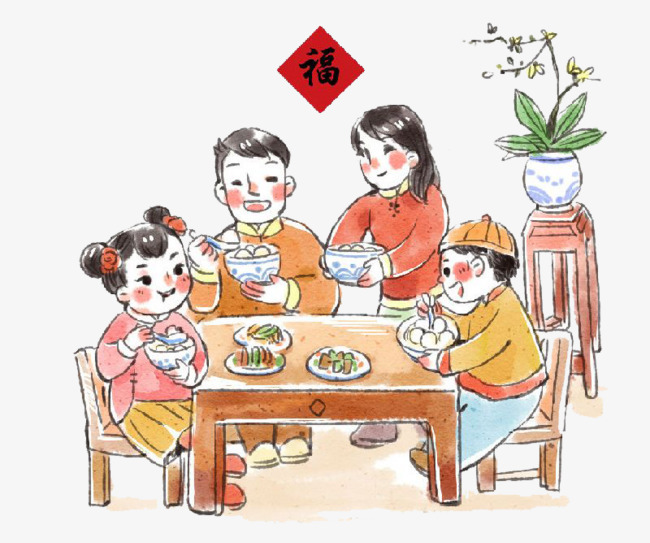 Food is one of the things that Chinese people take the most pride in, which is seen through the significance placed on the New Year’s Eve dinner (年夜饭-nián yèfàn). All family members come back on this day to have a feast, chat around the dinner table, then crowd together to watch the annual New Year’s Gala. While Chinese New Year is celebrated nationally, there are still differences between the north and the south. You may notice that both the looks and names of these dishes are created to give wishes and blessings for the upcoming new year. Here is some food you are sure to see on the table. 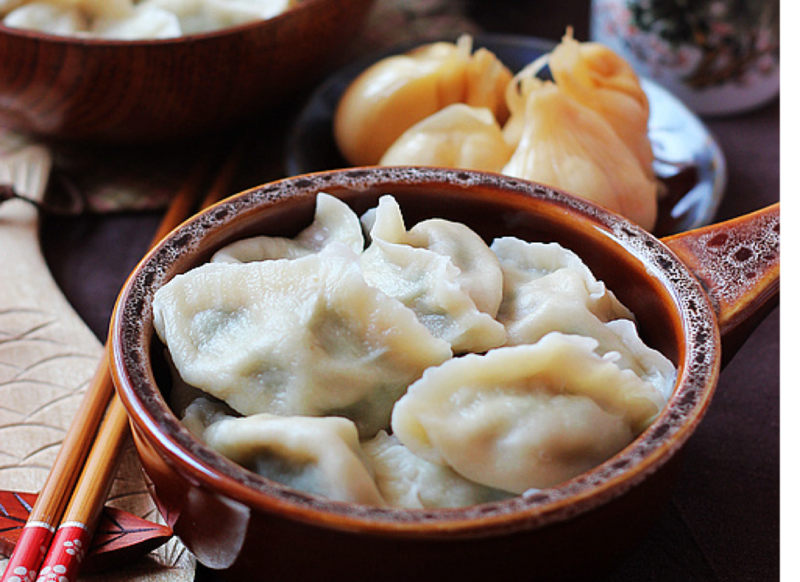 In northern China, dumplings (饺子, jiǎo zi) are the most well-known dish. They are eaten on many occasions, especially on Chinese New Year’s Eve. People usually spend the day hand-wrapping dumplings together on New Year’s Eve, which is a great family bonding activity. Eating dumplings is considered a good omen of wealth and prosperity, because dumplings are shaped like the silver and gold ingots of ancient China. 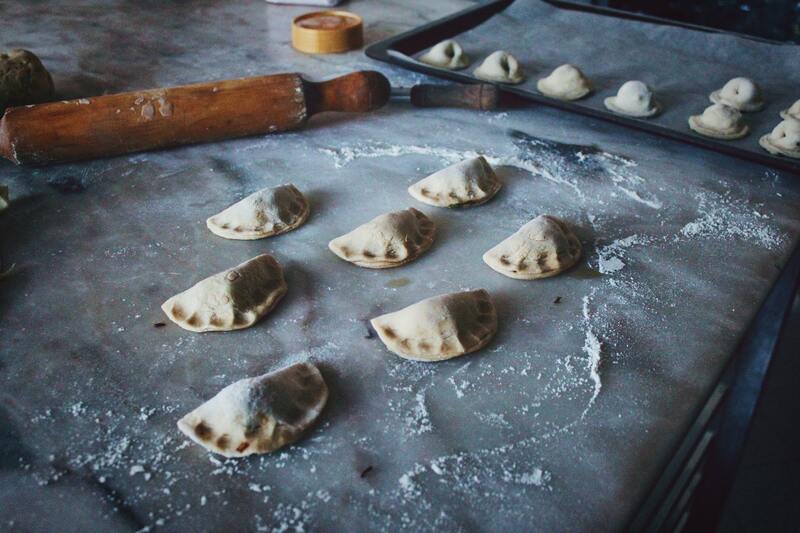 There are many types of fillings you can put in the dumplings. Traditionally green onion, cabbage, and pork will be included. In some regions, people even put a coin in one dumpling, believing that whoever eats the dumpling with the coin in will be wealthy in the new year. You might also have long noodles (长寿面, chángshòu miàn) on the table, which represents longevity. People usually have it for their birthday as well; the longer the noodles you have, the longer your life will be. 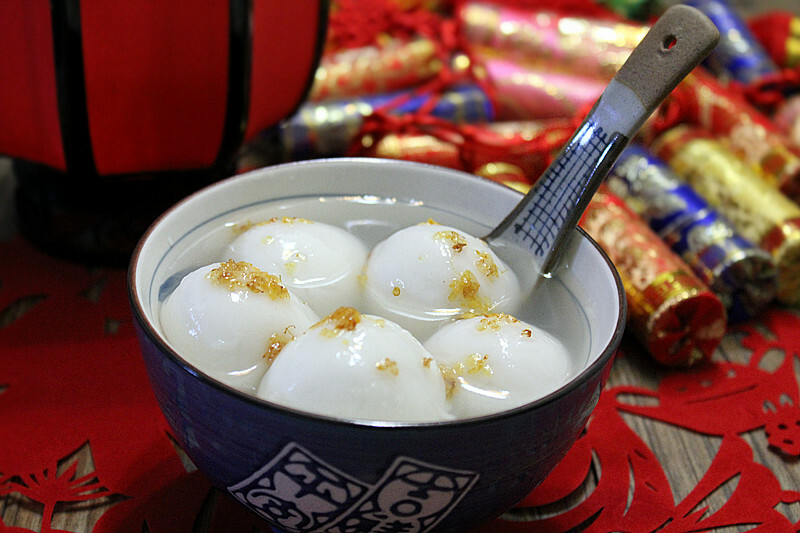 People in the south, on the other hand, favor making soup balls (汤圆, tāng yuán) with a sweet filling like ground sesame, as well as rice cake (年糕, nián gāo) made from glutinous rice or yellow rice. In Chinese, soup balls (tāng yuán) sounds like 团圆 (tuán yuán), which means togetherness and reunion. Similarly, rice cake (年糕, nián gāo) means every year getting better than the last. Or in some places, people think eating nián gāo will make children taller. 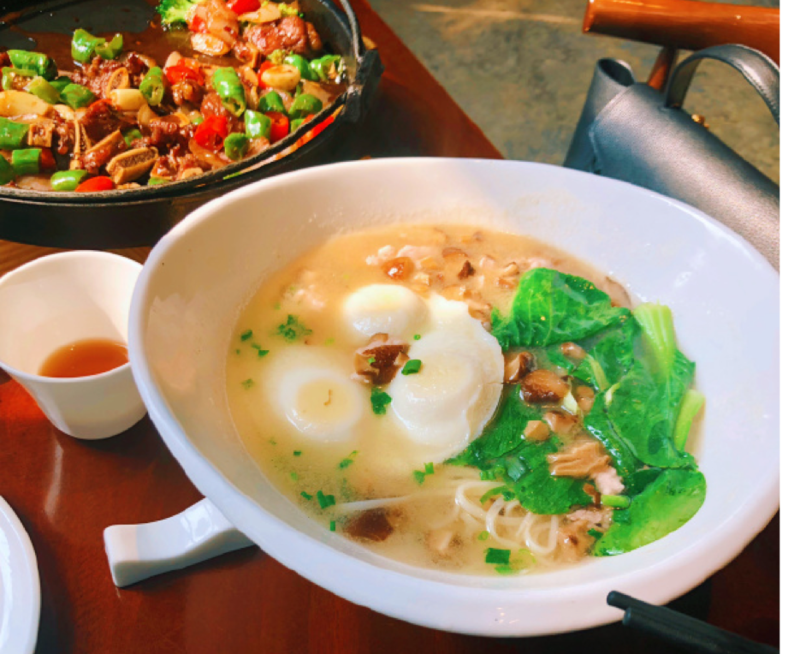 Typically, nián gāo should be boiled first because they are usually savory in the south. 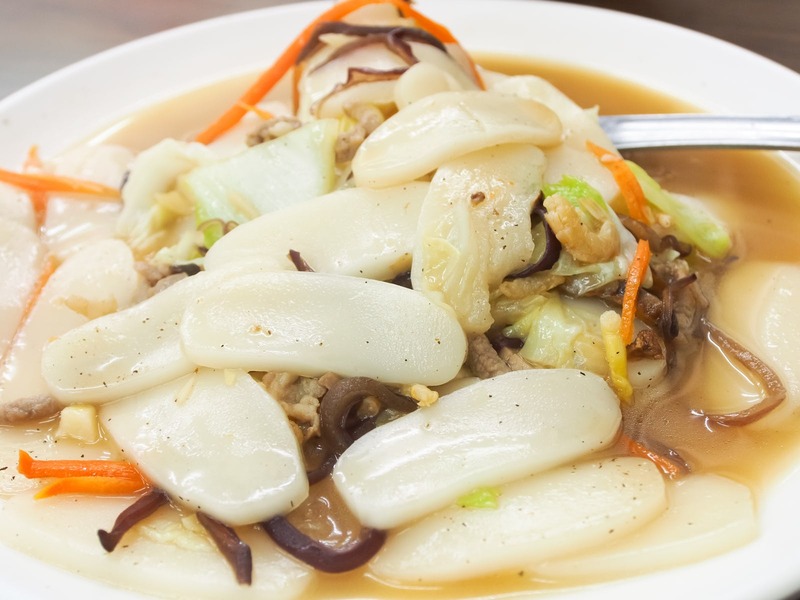 People usually cook or steam them with vegetables and meat, or sometimes make a seafood nián gāo which is popular in Zhejiang province. In China, fish (鱼, yú) is a must for Chinese New Year, since the pronunciation of it sounds like 余 (yú), which means abundant or surplus. Eating fish and having some left for the next day symbolizes having a wealthy and abundant year ahead in the new year. As the Chinese blessing goes: 年年有余 (nián nián yǒuyú). 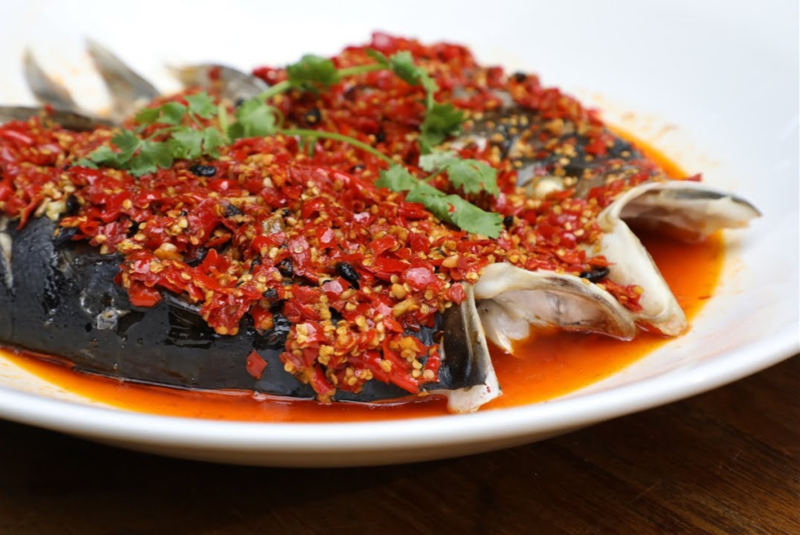 In some southern areas like Hunan, people will add red peppers after boiling the fish. Red is considered a lucky color in China, and the spicy flavor represents a wish for a thriving life in the new year. It’s a treat itself to reconnect with family, and whether you decide to eat the hearty meals of the north or the flavourful cuisine of the south, enjoy these foods with our good wishes. Have a great Nián Yèfàn, and Happy New Year!